Perforated vinyl resists wear and tear while providing necessary ventilation. Circumferential wrist strap and two forearm straps for compression and support. 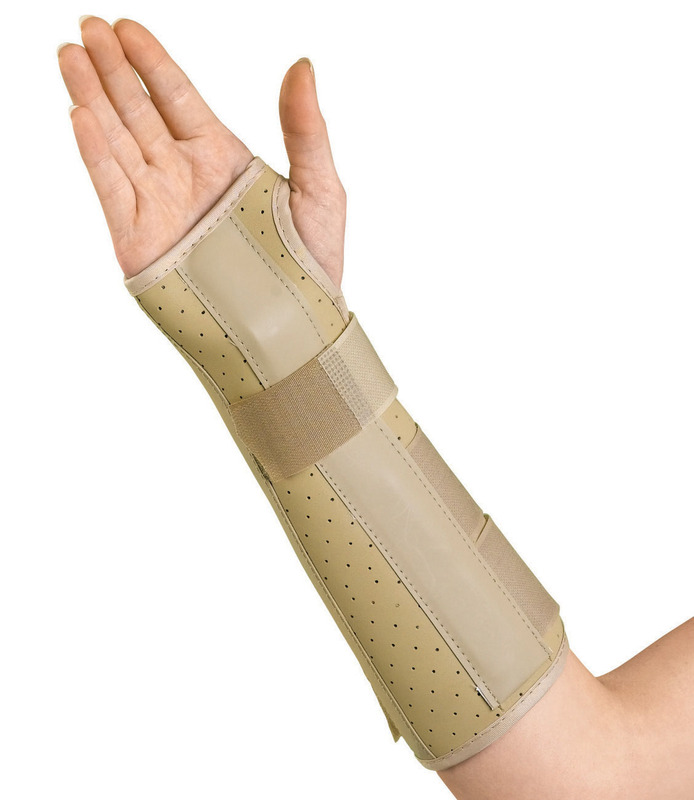 Splint does not extend beyond the palmer crease allowing full finger range-of-motion.